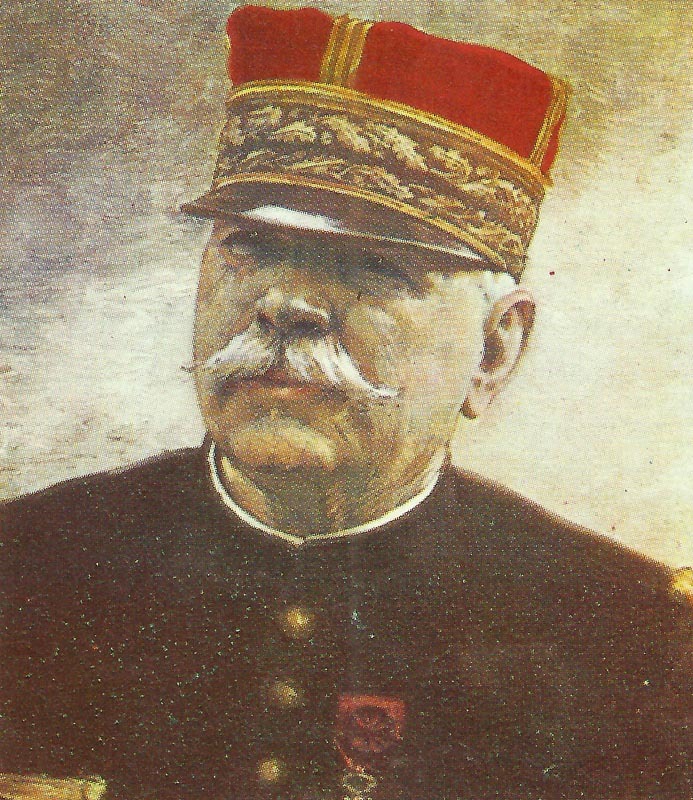 The French C-in-C Generalissimus Joffre. Meuse-Argonne: German Crown Prince launches attack which leads to costly actions until July 14. French First Army casualties since May 1: 16,200 soldiers. Paris – Terrier to Lyautey from Morocco: ‘People are blaming the Generalissimo (Joffre) for waiting too long, and for remaining himself too far from the Front’. Petain made C-in-C Second Army, Fayolle takes over XXXIII Corps. Armenia: Armenians and Cossacks take Sevan on Lake Van and Sorp (June 25). 4,000 men cavalry reach north side of lake on June 26. North Sea: U39 torpedoes cruiser Roxburgh (in dock till April 1916).